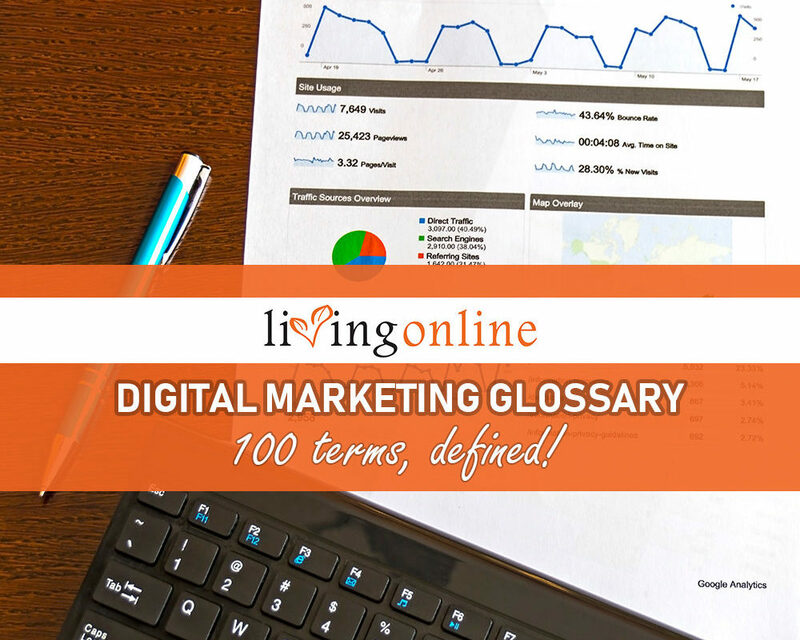 While the list is never ending, we’ve put together a marketing glossary of 100 digital and website terms in easy to understand language and ranked in alphabetical order, for those who are new to digital marketing or those who just need a refresher. Ad Sequences – the act of scheduling particular advertisements in order and tailoring your next advertisement according to the user’s actions on the first advertisement, to increase conversions. Algorithm – in digital marketing, the algorithm usually refers to the procedure that search engines go through, process and use to rank websites in Search Engine Results. AR (Augmented Reality) – the integration of digital information with the user’s existing environment to enhance it. 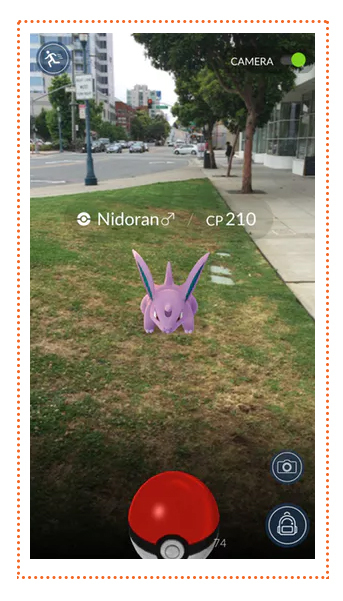 An example of this is the Pokémon Go app, where your avatar is overlaid on a real-world map and content. Back End – the ‘behind the scenes’ part of a website that makes it run and is typically not visible to the user interacting with the website. Backlink – a link to a specific website from another. Good quality links tell search engines that the website is popular and can boost rankings in Search Engine Results. For more information about exactly what backlinks are the best, read our article “What Backlinks Do I Need For SEO“. Black Hat SEO – techniques used to increase a site’s search engine ranking that violate search engine guidelines. Examples of techniques that would be classified as ‘black hat’ include – keyword stuffing, using white text on white background (so that keywords are invisible) and adding unrelated keywords to content. Google will penalise websites using such practices. Blog – a “weB LOG” is a diary or journal on a website which usually focuses on a specific subject/lifestyle and is regularly updated. Bounce Rate – the percentage of visitors to a website who leave the website after only looking at one page. Campaigns – specific marketing activities to drive engagement, conversions, traffic or revenue, that tie in with the company/brand/organisation’s overall goals. Want to know why some digital marketing campaigns fail? Read more here. 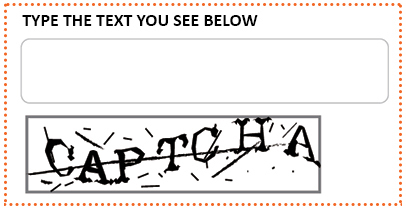 Captcha – a challenge response test that determines whether a user is human or an automated bot. The captcha must be filled out for the form to be submitted, to prevent spam or other unwanted data through online forms. Chatbot – a software application that processes the text presented to them (usually over Facebook messenger or a website popup) and responds according to a set of rules or specific commands for the purposes of simulating a conversation with human users. Read more about chatbots here. Clickbait – something (such as a headline) designed to get attention and make readers want to click on a link. Often it is misrepresenting what the content will entail and the content will under-deliver. CMS (Content Management System) – a software tool that allows you to create, edit, and publish content. Usually the back end of a website is called a CMS, enabling us to edit what a user can see. WordPress and Shopify are examples of popular Content Management Systems. Conversions – when a recipient of a marketing message completes the desired call to action. For example, if your marketing goal was for a user to click through an email and submit a form enquiry, this would be considered a conversion. These can vary depending on what your desired goal is. A click on a link, a visit to a landing page, a newsletter sign up, a view of a video or a product purchase could all be classified as conversions, based on your marketing campaign goal. Conversion Rate – percentage of website visitors who complete a defined website goal, such as completing an online form or downloading a brochure. Cookie – a piece of information that a web browser saves and is used to identify a user. A cookie may contain information such as login information, shopping cart information and user preferences. Copypasta – text that is copied and pasted from somewhere and posted in a forum, usually from an unknown source. CPA (Cost Per Acquisition) – the average cost of a conversion in a paid marketing campaign, calculated by the total advertising cost divided by the number of conversions. CPC (Cost Per Click) – an advertiser pays a publisher only when the ad is clicked. The rate is typically set by auction in search engine marketing. CPM (Cost Per Thousand Impressions) – a common method for pricing online advertising. CPM is when a publisher charges per 1,000 impressions (or views) on one webpage. The “M” in CPM represents the Roman numeral for 1,000. CRM (Customer Relationship Management) – a strategy to manage a company’s interaction with their customers. A CRM system typically manages customer data and records every point of communication. You can then analyse your customers and focus on catering to their needs, customer retention and driving new customer acquisition. CRO (Conversion Rate Optimisation) – the process of increasing the campaign goal actions of website visitors, such as filling out a form, purchasing products or whatever your marketing campaign goal is. This process involves understanding how users move through your site, what actions they take, and what may stop them from completing your campaign goals. CSS (Cascading Style Sheets) – the language used to add style to documents created with HTML. CSS is used to create the page’s layout, colour, fonts, etc. CTR (Click Through Rate) – the percentage of visitors who click-through on a link to visit your website, calculated by dividing the number of clicks that your ad receives by the number of times that your ad is shown. 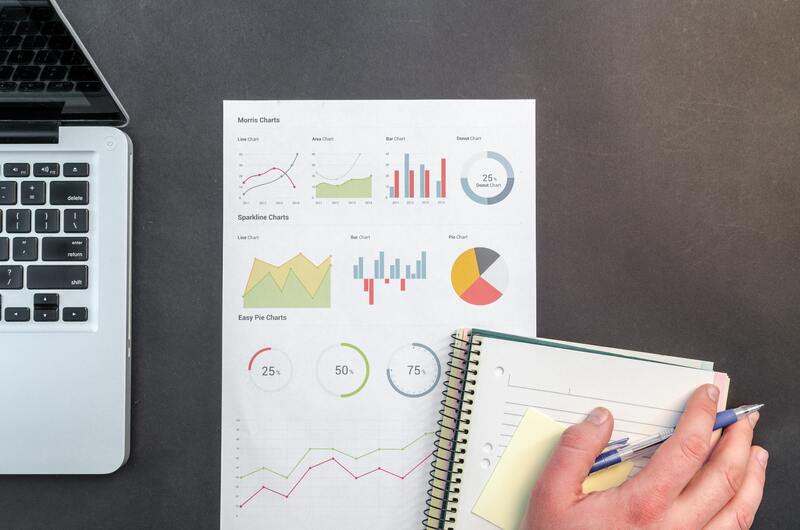 Data Mining – the practice of examining data in user databases and websites to find consumer behaviours that can be useful in online marketing. Database – a database stores information like personal details, last interaction, contact information etc that can enable a business to keep in contact with their customers. Information can also be extracted for marketers to analyse buying habits and keep customers informed of upcoming marketing activities. DNS (Domain Name System) – the system that translates Internet domain names into IP numbers. Domain Authority – a search engine ranking factor used to measure the power of a domain name based on Age, Popularity, Size and other Search Engine Optimisation (SEO) factors. This measurement (scored between 1 – 100) represents how much authority a domain has, to help decide where it should appear in search results. Domain Name – the unique name that identifies an Internet site. For example, ours is: livingonline.com.au. Double Geeking – when you use two computers at the same time. Eating Your Own Dog Food – when a computer company uses its own software for internal projects. Echo Chamber Effect – when a message within a network (such as a Facebook group) is passed around or shared, meaning the network of members are more likely to see the message again and again. EDM (Electronic Direct Mail) – an email used to target a large group of prospects, with the goal of building customer relationships and generating leads. Commonly in the form of a e-Newsletter or e-Bulletin. Engagement – the term used for user interactions such as likes, shares or comments on a social media presence. Enquiry – where a user has taken action towards showing interest in gaining an understanding about something, perhaps for a problem they need solved. For example, they might submit an contact form on your website or ask to be contacted on social media. Fat Fingers – used to refer to clumsy typing typically resulting from one finger striking two keys at the same time. 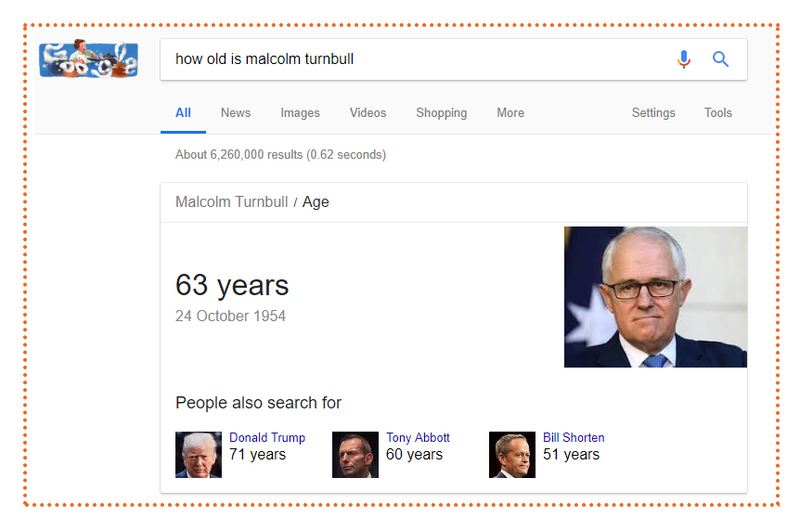 Featured Snippet – a piece of information that Google pulls from a website and places directly into search results, to show quick answers to common questions (such as ‘who is……” or “how old is…”). Front End – the front end of a website is all the parts of a website that can be seen and interacted with by visitors. FTP (File Transfer Protocol) – the method of moving files between two Internet sites, using a software application called a FTP server . Gating (Like Gate / Member Gate) – requires a user to like or share something to get access to content on a page or enter a contest. GDN (Google Display Network) – is a network of over 1 million websites (outside of Google) which run Google text and display ads. These websites receive a small commission each time an ad is clicked. GMB (Google My Business) – a free tool for businesses and organisations to manage their online presence across Google, including Google Maps. This listing enables you to display information like opening hours, website, street address and business services. Growth Hacking – the use of technology and analytics in combination with product development to increase a company’s growth, focusing on lower cost marketing alternatives. GSC (Google Search Console) – previously Google Webmaster Tools, it allows webmasters to optimise the visibility of their website and monitor indexing status. The tool can be used for submitting new content for crawlers, making sure Google can access your content and remove content you don’t want shown in Search Engine Results. GTM (Google Tag Manager) – a tool that allows you to manage the tags and scripts on your website that send information to third parties (such as Google Analytics) without having to add multiple codes to your website. .htaccess – a file that indicates which users can be allowed access to the files contained in a directory. HTML (HyperText Markup Language) – the coding language used to create documents for use on the Internet. HTML uses a variety of tags and attributes to create the structure and layout of a web page. HTTPS (Hypertext Transfer Protocol Secure) – is a variant of the web transfer protocol HTTP that adds a layer of security on the data in transit. Seeing a website with https assures the user that the website is secure and any data (such as credit card information) they enter will only be recognised by your computer and the server and cannot be captured by an outside source. Impressions – the number of times your advertisement is displayed. If one user sees the same advertisement 3 times, that is classified as 3 impressions. Influencer & Influencer Marketing – an influencer is an individual who has access to a large audience and who has real or perceived authority, knowledge or position. 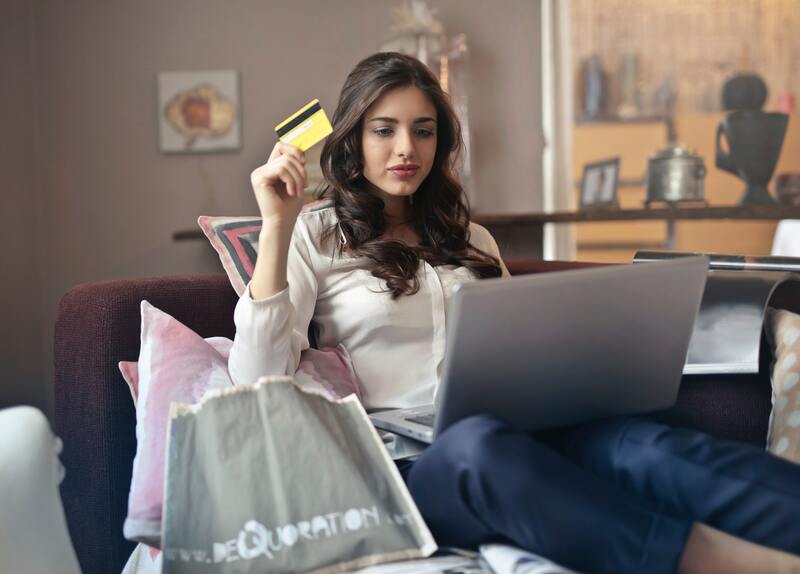 Marketers use influencers by “borrowing” their credibility and familiarity to affect purchase decisions or sell a product to their large audience, usually by offering payment or free use of product or service to the influencer. Keywords – a specific word or phrase you use to search for a website or for more information on a topic. Landing Page – a web page created specifically for the purposes of a marketing or advertising campaign. For example, if a visitor clicks on an Google Ads ad, they would “land” on a specific page relevant to the ad and with the specific goal of driving conversions for that campaign. Lead – a lead is a business opportunity where the user has taken action to express specific interest in the purchase of a product or service. Link Building – the process by which you increase the amount of relevant links to your website to help your website rank higher in search results. .
Map Pack / Local Pack – the section of Google search results pages which features businesses listed on a local map. Google will display a list of physical locations they deem most relevant to the keyword search term. Marketing Automation – software that focuses on the definition, scheduling, segmentation and tracking of marketing campaigns. This technology automates repetitive tasks such as emails, social media posting, and website actions. Meatspace – the physical world as opposed to the virtual “internet” world. Meta Description – the description in the search engine result that summarises the content of a web page. This snippet describes the page content for the benefit of users and search engines. If not composed by the website owner, the search engine will compose it from the first lines of text on the page. Modules – a piece of software (e.g. templates, functions), that can be combined with other modules to construct a more complex software, to use when building your website. Think of modules as pieces of lego! Nofollow – a directive used to tell search engines not to follow a specific link or the links on a webpage or count the link towards its PageRank. Noindex – a directive used to tell search engines to not include that particular page in its list of search results. You would usually use a noindex on pages that you don’t want a user to find unless they are directly told about it, for example a promotion page, an employee only page or a goal completion ‘thank you’ page. Off-page – off page optimisation or off-page SEO are actions taken to improve a website’s popularity outside of your own website. This is the number of quality links you have pointing to your website and having your website mentioned as much as possible with guest blogging, social media and influencer marketing. On-page – on page optimisation or on-page SEO are actions taken within an actual website to improve its position in search engine results. This is includes internal and external linking strategies, metatags and keyword placement within content. Opt-in – used in e-mail marketing, when the recipient of the email has expressly consented to receive it. There are strict guidelines in place in Australia and Europe for how this is conducted. Read here for more information about the recent GDPR enforcement regarding opt-ins. Organic Listing – listings on search engine results pages that appear because of their relevance to the search terms. The best way to improve a site’s organic listing position is to implement white hat SEO techniques on the website. In contrast, non-organic (paid) search results appear because a monetary bid was made on the search terms. Page View – each time a user visits a web page. PageRank – a process that used by Google Search to rank websites in their search engine results. PageRank was used by Google to measure the authority of a webpage. It was generally believed that the number of quality of inbound links to a website was a significant factor to increase your PageRank score. Phishing – the attempt to obtain private information such as usernames, passwords and credit card information using fake emails from trustworthy sites. Pixel – a small unit of measurement of an image, with thousands of individual pixels forming what the eye sees as one smooth image. Plugins – a piece of software that adds a specific feature to a program to customise it. For example, you may have a “forms” plugin on your website that enables you to keep a record of form entries. Click here to see our top 5 free WordPress plugins. Prospect – a person regarded as likely to become a potential customer. Read our guide on how to position your product to find your ideal customer here. Qualified Lead – this is a lead judged more likely to become a customer compared to other leads. This user is further down the sales process, having now been identified as having a real potential to purchase. Reach – the total number of individuals who see your advertisement. Reciprocal Link – two websites linking to each other for mutual SEO benefit. Re-Engagement – a strategy used to bring previously engaged contacts back into active engagement with a brand, often with a promotional campaign targeted to their interests. Rel=canonical – is an element that prevents duplicate content issues by specifying the preferred version of a web page. In a nutshell, the rel=canonical tag tells search engines that the specific URL is the one they should look at when duplicate content is an issue. Remarketing/Retargeting – a type of paid ad that allows advertisers to show specific ads to previous website visitors, and “follow” them around the world wide web as they browse other websites, to try and get them back to the website and complete a website goal. ROBOTS.TXT – a file that says to a search engine crawler “do not search” all or certain parts of a website that you want to keep private, therefore stopping it from appearing in search engine results. SEM (Search Engine Marketing) – SEM is the use of paid advertising listings on search engines in order to drive user traffic to your website. 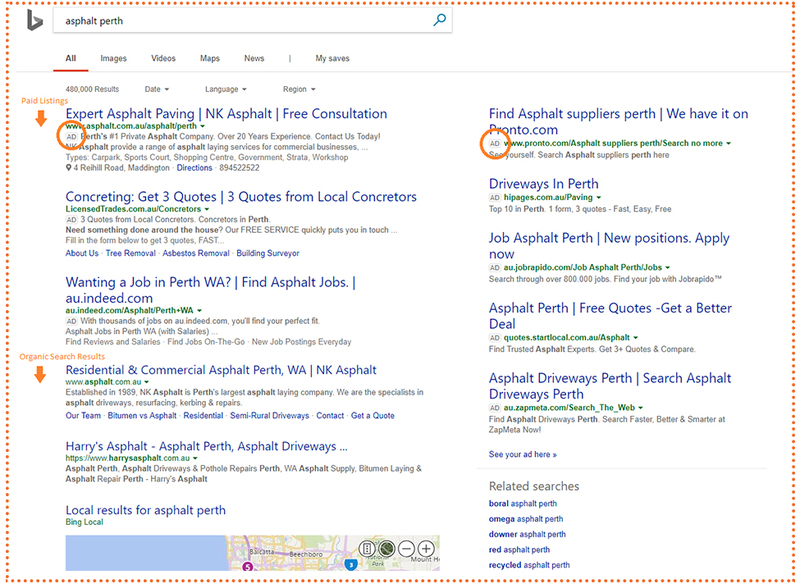 Commonly known as Google Ads (formerly known as Google AdWords) and Bing Ads, you can usually see these paid listings at the very top of the search results with a little “Ad” symbol next to them. They appear because advertisers are bidding on certain search queries, like in an auction, stating how much they are willing to spend to have someone click on their ad. When a user enters a search query, the search engine determines whether keywords match the query and enters the ad into the auction. The ad is then only shown when the bid amount is sufficient and when the ad has a high “Quality Score” (a metric that determines whether your ad is relevant to the search query). SEO (Search Engine Optimisation) – SEO is the practice of designing web pages so that they rank as high as possible in search engine search results like Google, Bing and Yahoo. It is a complex activity that involves optimising elements of your website, as well as getting high quality links from other websites, to get the search engine’s algorithm to favour your website pages over competing ones, for certain search queries relating to the topic and nature of your website. SERP (Search Engine Results Page) – a list of search results that is returned to the user after they submit a search query. Sitemaps – the visual outline of the pages that make up a website. Like a book’s table of contents, a sitemap makes it easier for a search engine spider to see, crawl through and index your website pages. Slug – the portion of a URL that comes after the .com.au/ that denotes a specific page or post on a website. For example: livingonline.com.au/blog – ‘blog’ is the slug. SMM (Social Media Marketing) – social media marketing techniques help a business increase brand exposure and broaden customer reach to gain traffic. This can be done by establishing a presence on social media platforms, producing shareable content, encouraging customer feedback and advertising to specific target audiences. SSL (Secure Socket Layer) – a protocol to enable encrypted, authenticated communications across the Internet. HTTPS is HTTP (HyperText Transfer Protocol) plus SSL. 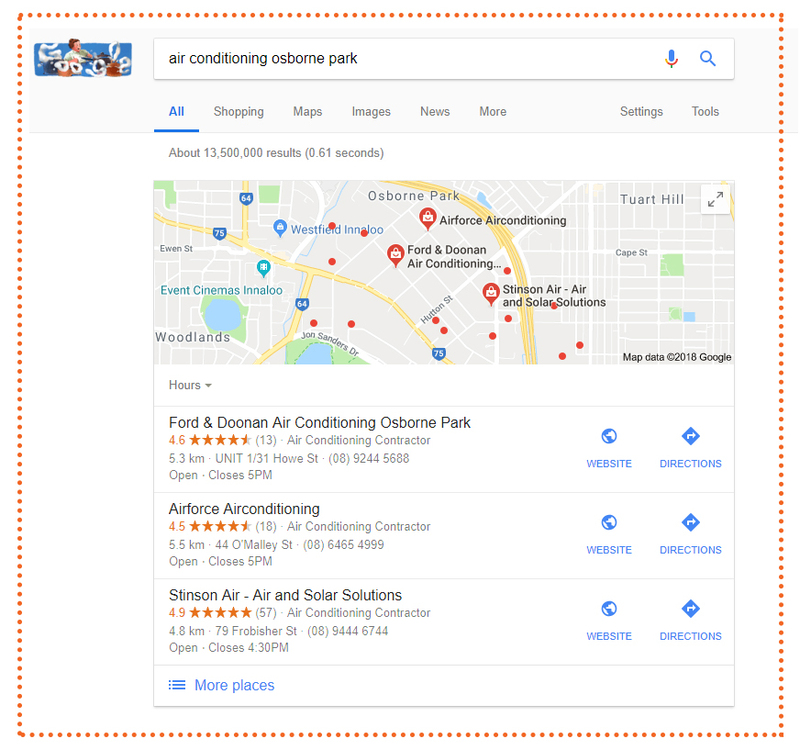 Structured Snippet – these are Google Ads ad extensions you can add to your paid search advertisements that highlight specific aspects of your products and services. Title Tag – displayed in the tab bar of a web browser and as the clickable title in search engines, the title tag describes the specific topic of a web page. 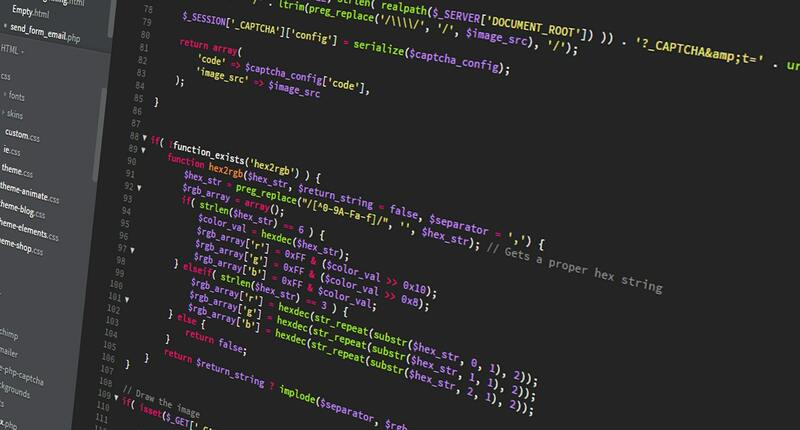 Tracking Code – a script that passes information along to data gathering tools like Google Analytics and Google Ads so they can track information about visitors who view a site. Troll – slang for users who post upsetting comments in an online community with the intention of provoking the readers. UGC (User Generated Content) – content such as posts, blogs, photos and videos which are created by users about a brand or product and not by the business themselves. This content is publicly available to other users. Also is referred to as consumer generated media (CGM). URL (Universal Resource Locator) – the Internet address, colloquially termed the web address. Eg: https://www.livingonline.com.au is a URL. UX (User Experience) – refers to how a user interacts with a website. UX is tracked and examined to inform testing of different page layouts, CTAs, colours, content, etc to improve conversion rates. Vertical search engine – a search engine that indexes content specialised by location, topic or industry, geared to businesses (B2B). Instead of returning thousands of links from a search term, vertical search engines deliver more relevant results to the user. VR (Virtual Reality) – a computer generated artificial environment that is designed to simulate a person’s presence fully in an environment that feels real, and responds to real movements. 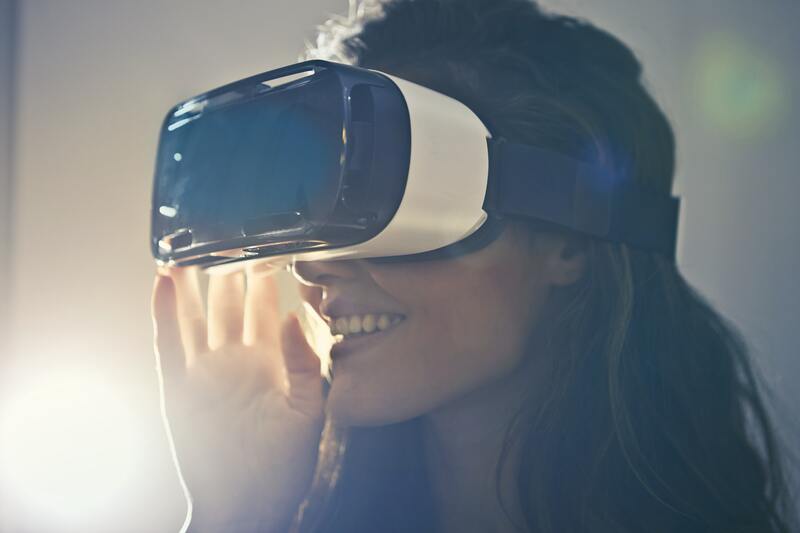 VR technology commonly uses headsets, so that the user can “look around” in the artificial world. Web Crawler / Spider / Bot – a program that browses the internet in an automated manner. Search engines use “crawlers” to index pages on the web. Web Directories – a directory which links to other websites and usually organises them by categories. White Hat SEO – ethical techniques used to increase a site’s rank that follow search engine rules. Examples of techniques that would be classified as ‘white hat’ include – quality link building and content writing (for humans and not for search engines). WireFrame – a design tool that shows a visual starting point of the key information that goes on each page of a website. Wireframes usually contain elements such as the header, footer, navigation, content areas, placeholder images, as well as the labeling of titles and links. 301 Redirect – this tells browsers and search engines that a web page or site has been permanently moved to a new location, and includes the address to which the resource has been moved. Need More Information On Digital Marketing? If you still don’t understand a term or you have a different one in mind, why not comment below to ask us for more information – we would be happy to expand on any of these digital marketing terms (and any others you are unsure about). You can contact the Living Online team.